Help promote a healthy-minded community and support our local Greensburg farmers by buying fresh from the farm. Start your summer off with local fruits, vegetables, baked goods and fresh picked flowers from the Greensburg Community Farmers’ Market sponsored by the Farmers’ Market Association of Central Westmoreland and the City of Greensburg. Produce from a farmers’ market is fresh from the farm, locally grown, and tastes a whole lot better than what you purchase at a large supermarket. 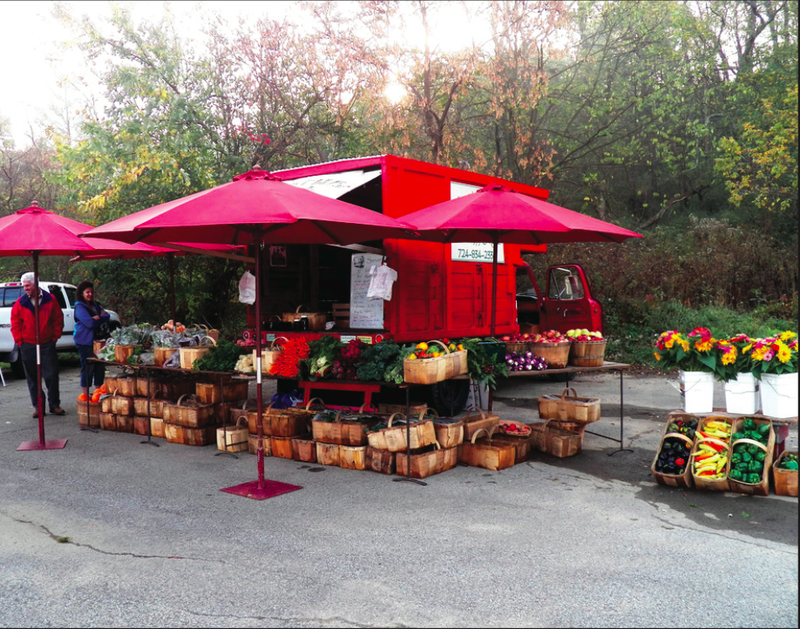 Market vendors are proud of their products and educate the public on sustainable agriculture. The Greensburg-Lynchfield Farmers’ Market is opens on this Saturday at Lynchfield Park from 9:00 am to 12:00 pm. The market is also open on Tuesdays at the Donohoe Center. Get active outdoors and visit Greensburg’s Five Star Trail at Lynch Field off of route 119 in Youngwood. Located alongside an old Southern Pennsylvania Railroad line, soak up some vitamin D (but don’t forget sunscreen!) and enjoy a scenic run, walk or bike ride on the eight mile Five Star Trail. Stay up to date with activities happening on the trail by visiting the 5 Star Trail Facebook page. Located Fayette County, Ohiopyle spans for 19,000 acres and is one of Pennsylvania’s largest state parks. 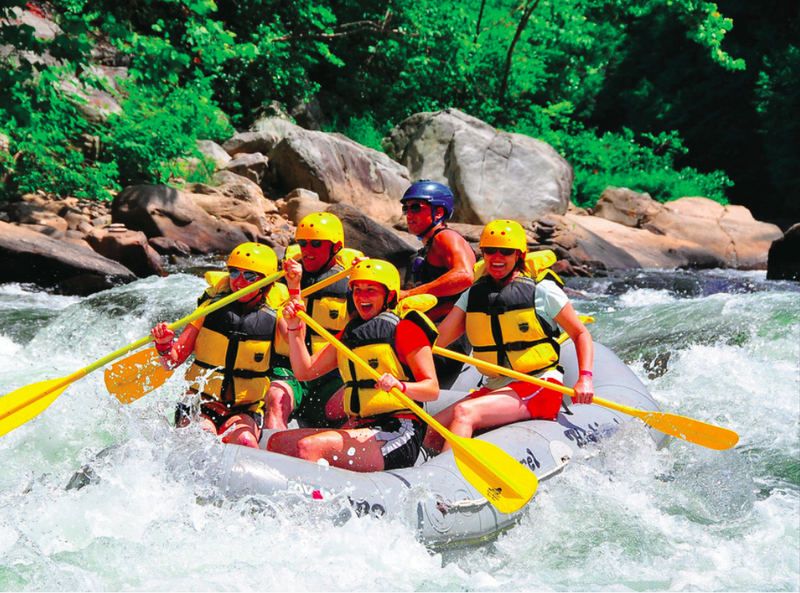 Sign up for a guided or unguided whitewater rafting adventure on the Youghiogheny River, rent a bike and hop on the trail spanning for over 40 miles, or kick back on the river bank and spend the day trout fishing. Upcoming free events include the annual Memorial Day weekend Red White and Brew Wine Beer and Music Festival, Over the Falls Race, and the Fayette County PA Fair. Ohiopyle State Park is only a 30-minute drive from Greensburg, so take a day trip or make it a weekend getaway with family and friends and explore the Pennsylvania outdoors! Cruise the streets of Pittsburgh on a segway and experience the Steel City in a new and unique way. Segway in Paradise is a company that offers guided segway tours of downtown Pittsburgh led by Segway Certified Trainers. 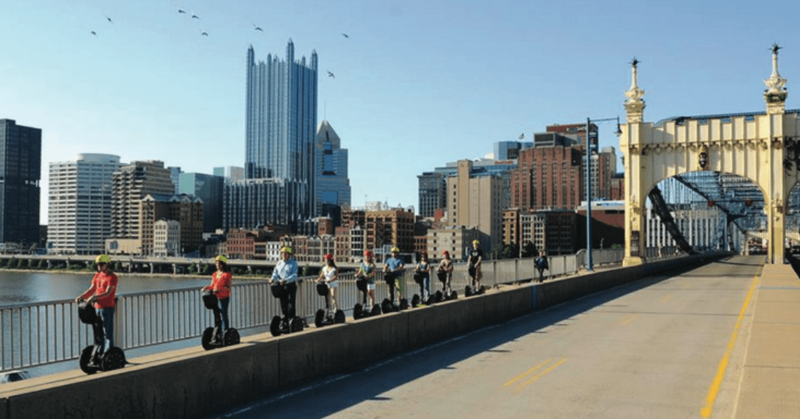 Segway tours offer a high-tech, futuristic adventure to both out-of-towners and Pittsburgh natives. If you can stand up straight and are at least 14 years old, you will be gliding the streets on your segway in less than one minute. Never kayaked before? Have no fear! Kayak Pittsburgh has a team of experienced kayakers to show you the ropes of navigating the rivers of Pittsburgh. Kayak Pittsburgh is only open on Saturdays and Sundays in May, then for seven days a week from Memorial Day until September. Kayak Pittsburgh North Shore is located under the 6th Street Bridge next to PNC Park. You can paddle up the Allegheny River, venture around The Point, or test out the waters of the Monongahela or Ohio Rivers. If kayaking isn’t your thing, you can set sail in a rowboat, pedal boat, canoe, bike, or a stand up paddleboard. May 19, 2015 in A&E, Lifestyle and Entertainment, May 2015 Magazine.